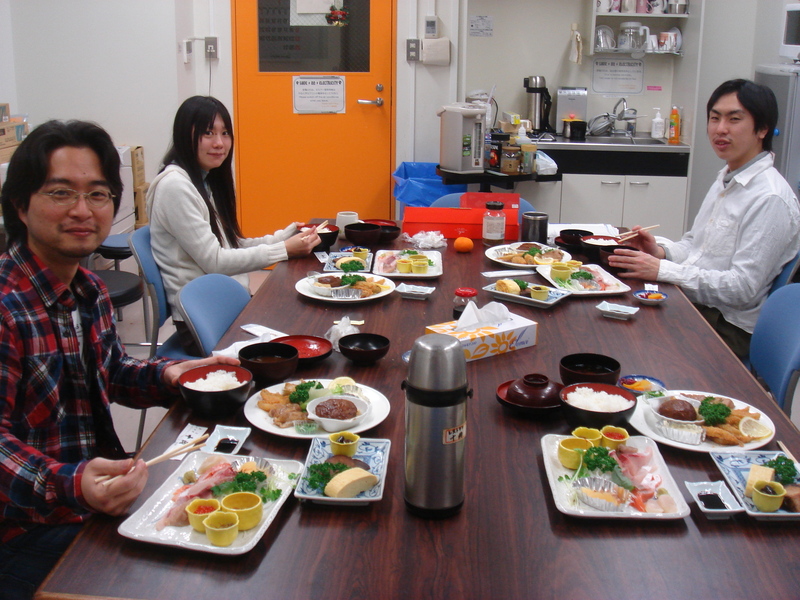 A new year begins, and lab members speed up finishing their research projects. 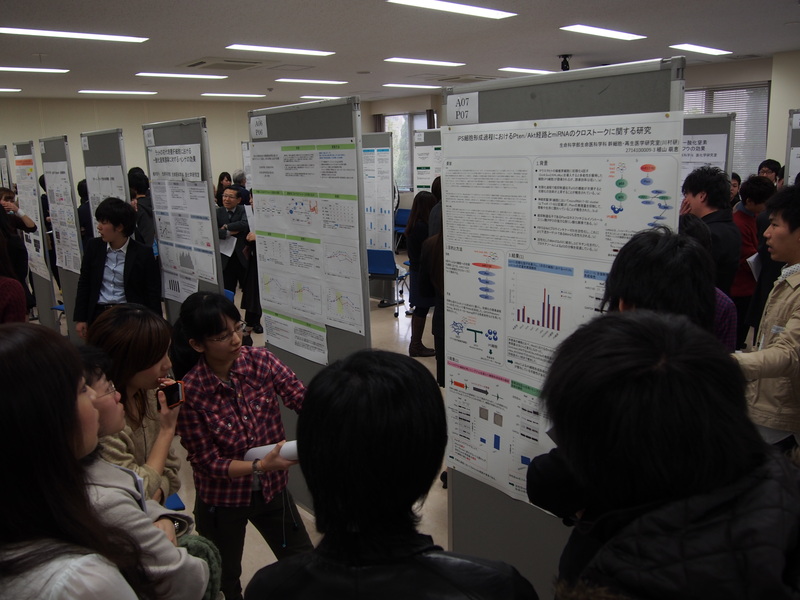 They successfully presented their achievements in the conference. 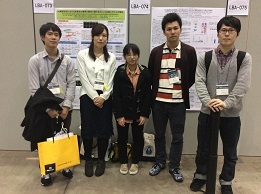 Lab members presented their data in the conference of biochemistry and molecular biology (BMB 2016) in Yokohama, Japan. 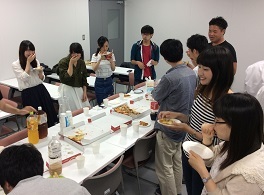 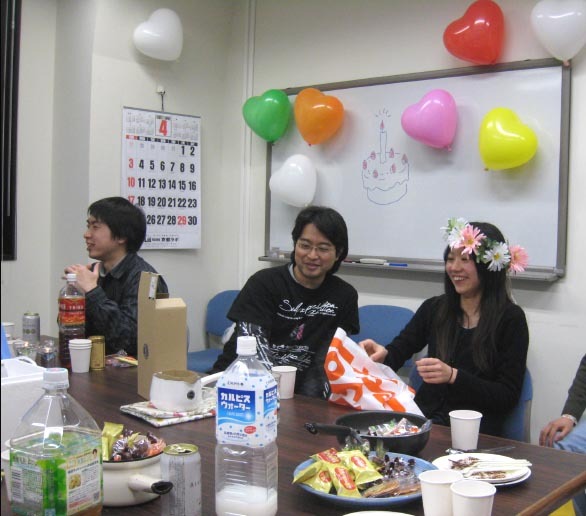 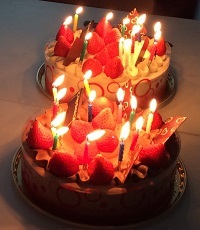 we held the pizza party and celebrated happy birthdays of some lab members. 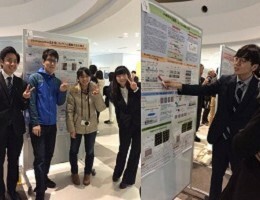 We had great time communicating with lab members and students of different grades. 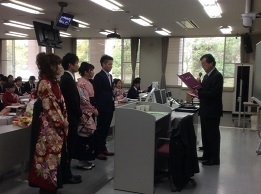 A new school year in Japan begins in April. 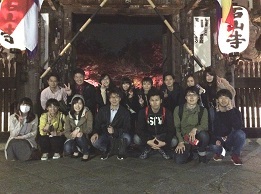 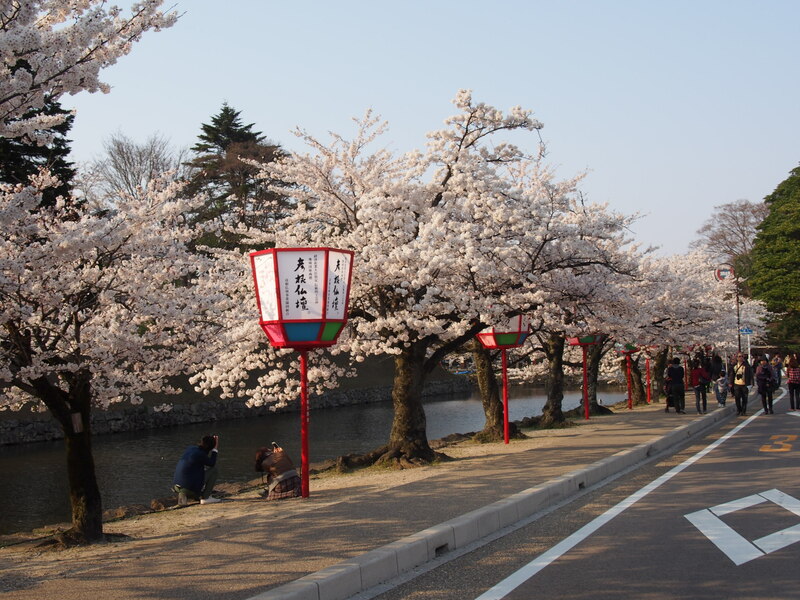 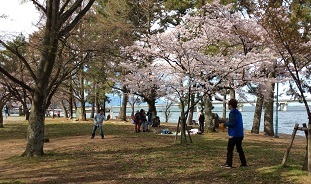 To enjoy Sakura, cherry blossoms, we went to Zeze castle park with new lab members. 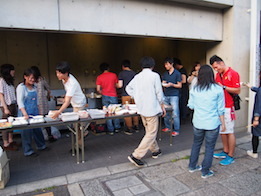 We also enjoyed BBQ party in BKC campus. 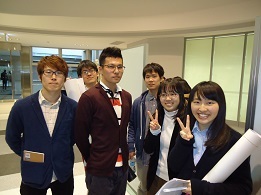 B4 students enjoyed their presentation of graduation studies. 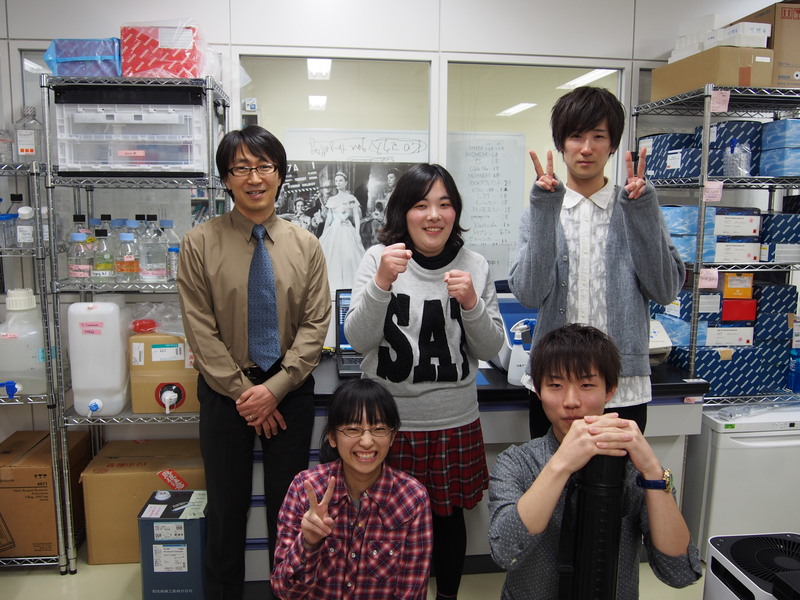 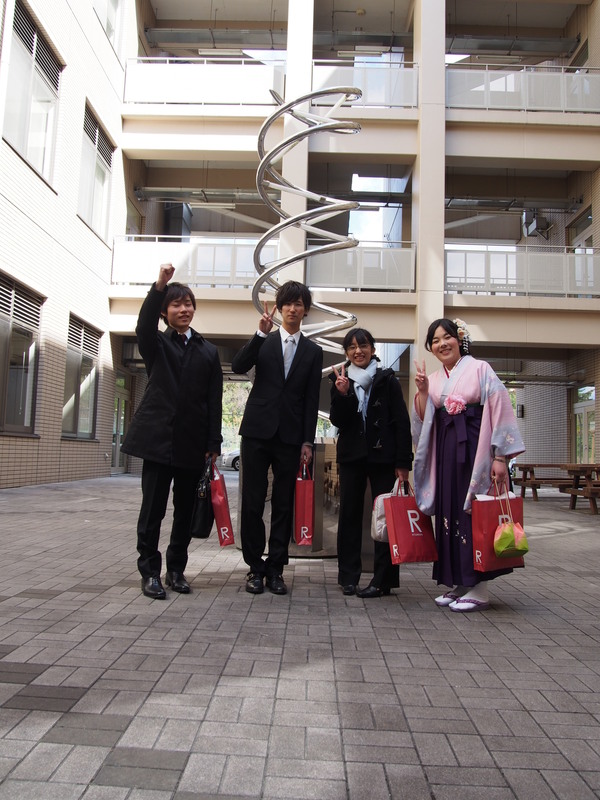 Ueyama-san (M2) finished her master course and steps up to the doctor course, which is the first case in our department (Department of Biomedical Sciences, College of Life Sciences, Ritsumeikan Universituy). 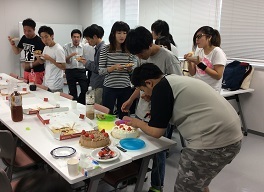 While four B4 students enter the master course and continue their studies, two students leave our lab and held the farewell party. 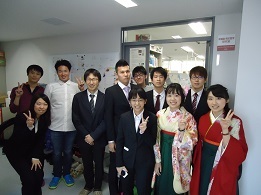 Good luck and keep in touch! 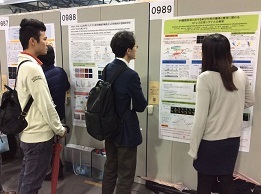 Hope to see in the scientific meeting someday. 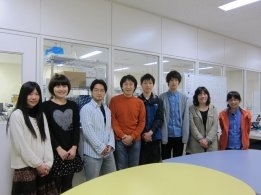 scheduled to join our lab next school year 2016. 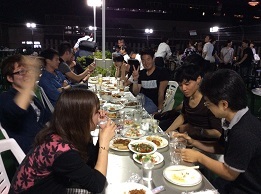 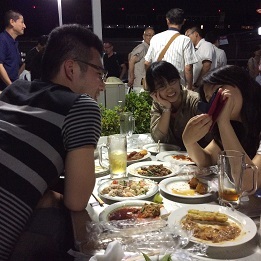 Lab members and their friends enjoyed summer party in the beer garden beside JR Kyoto station, becoming an annual lab event in summer. 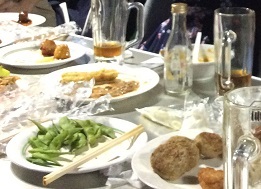 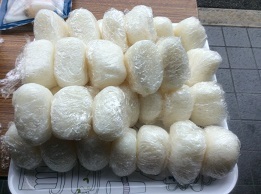 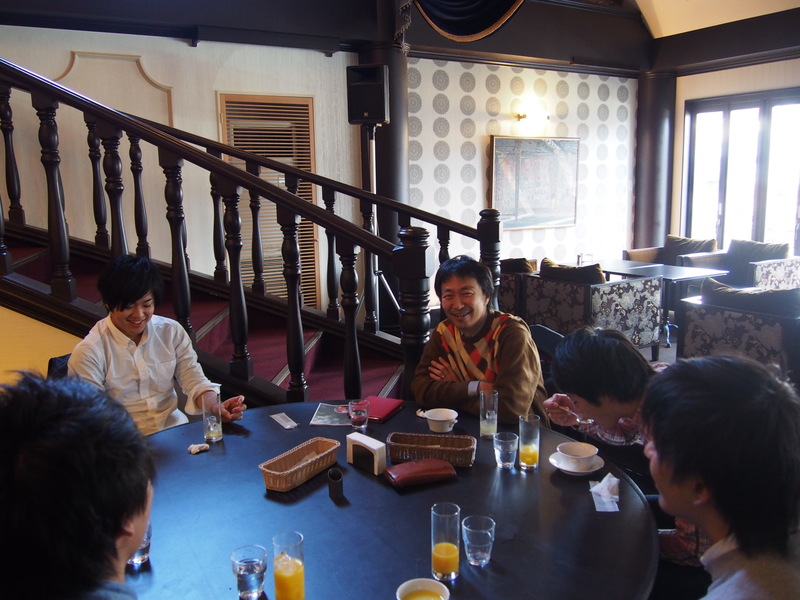 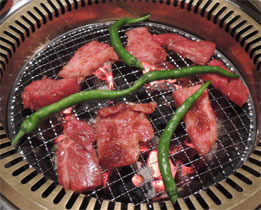 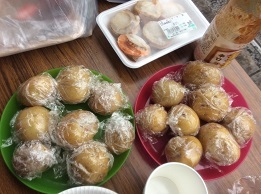 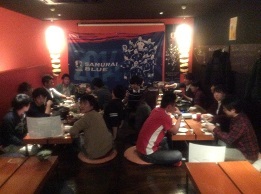 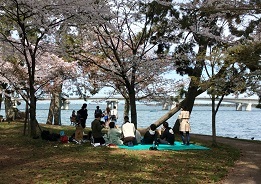 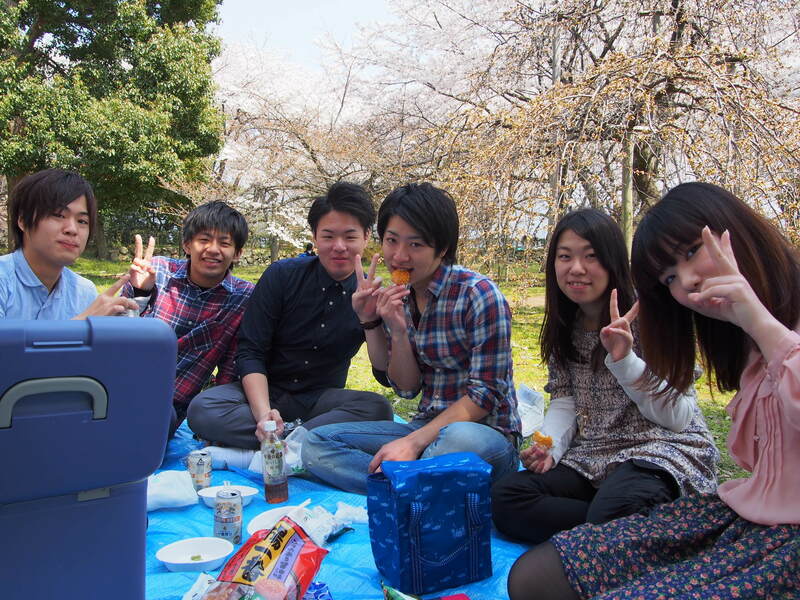 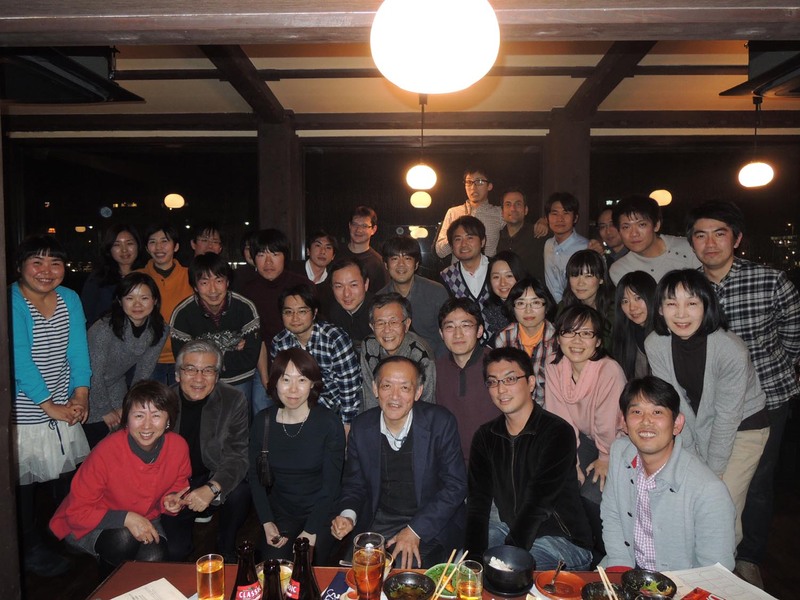 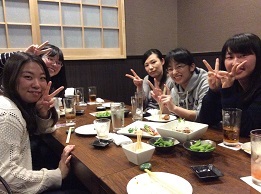 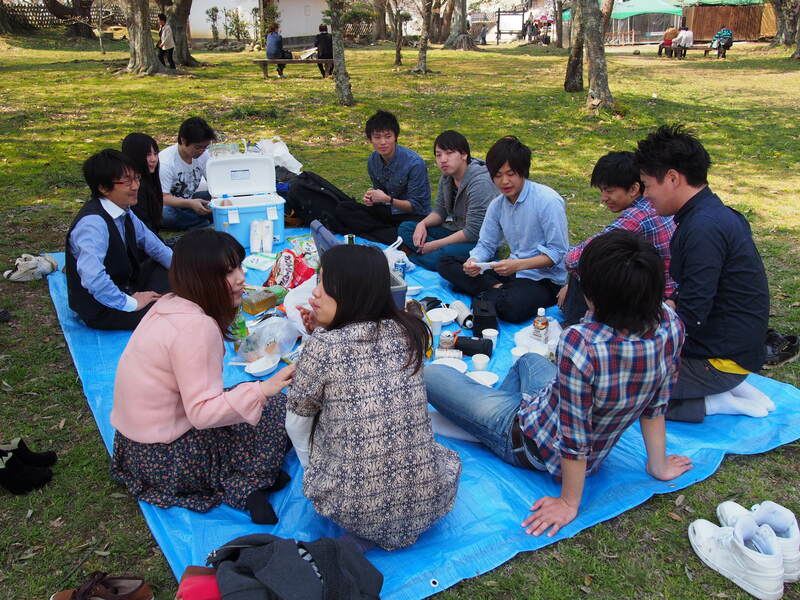 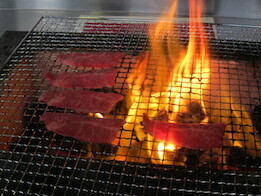 Hanami party (to enjoy cherry blossom and ...) was suspended due to bad weather. 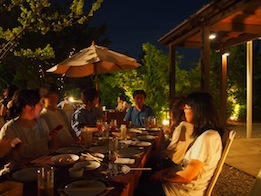 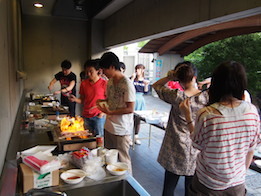 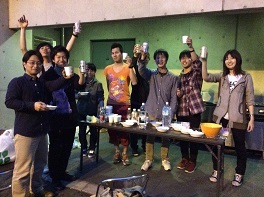 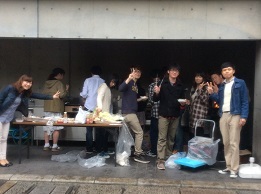 In stead, even though a light rain, we held the BBQ party in the roofed site of BKC campus. 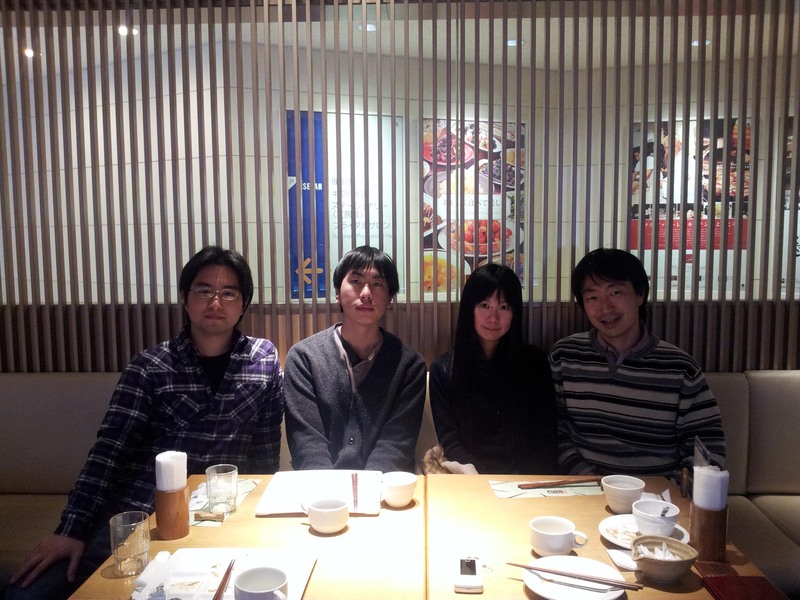 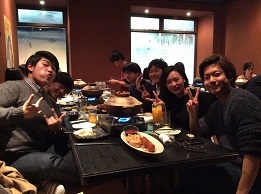 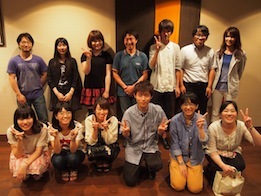 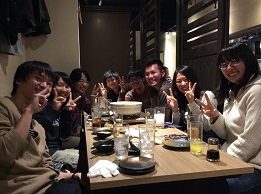 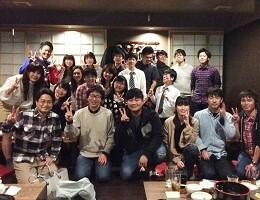 Lab members and their friends got together and had good time. 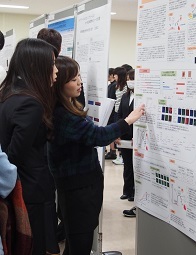 graduation research was given to some of our lab members. 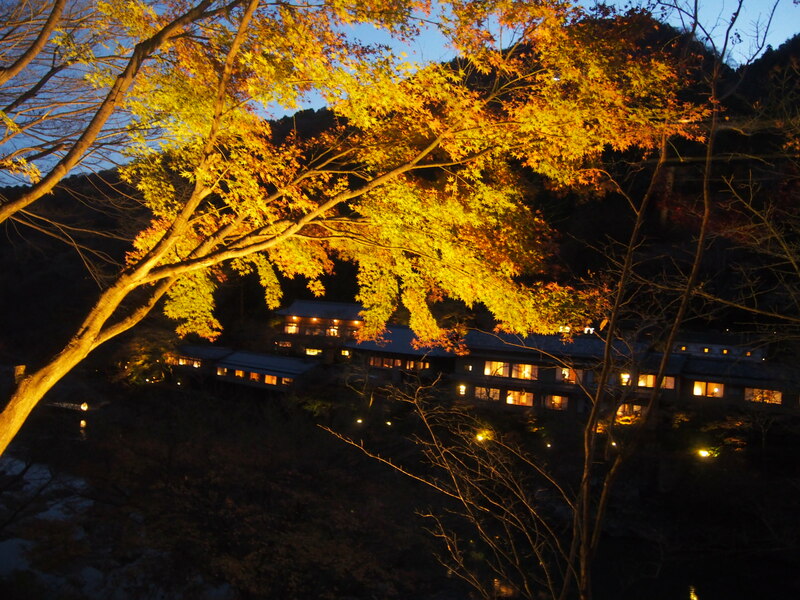 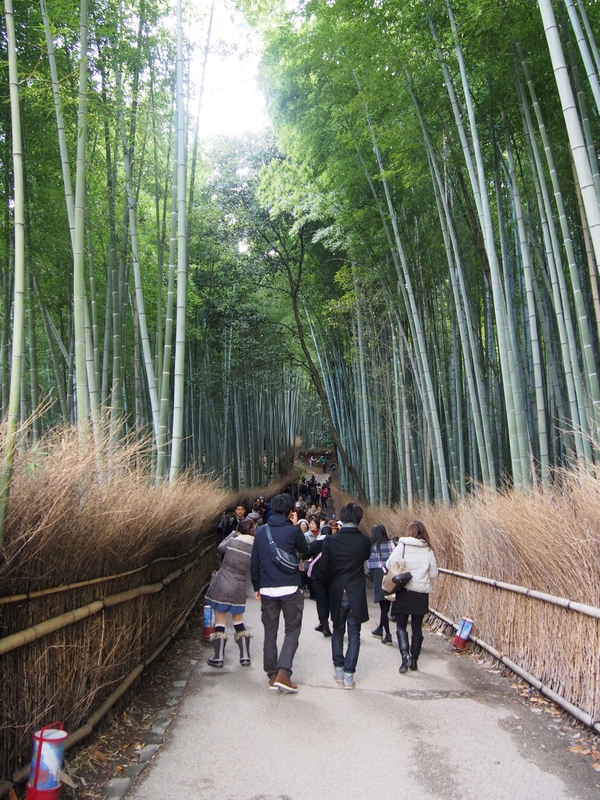 We made a one day trip to Arashiyama, Kyoto as planned for a long time. 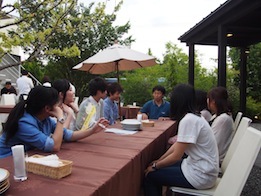 in Biwako Kusatsu campus (BKC)! 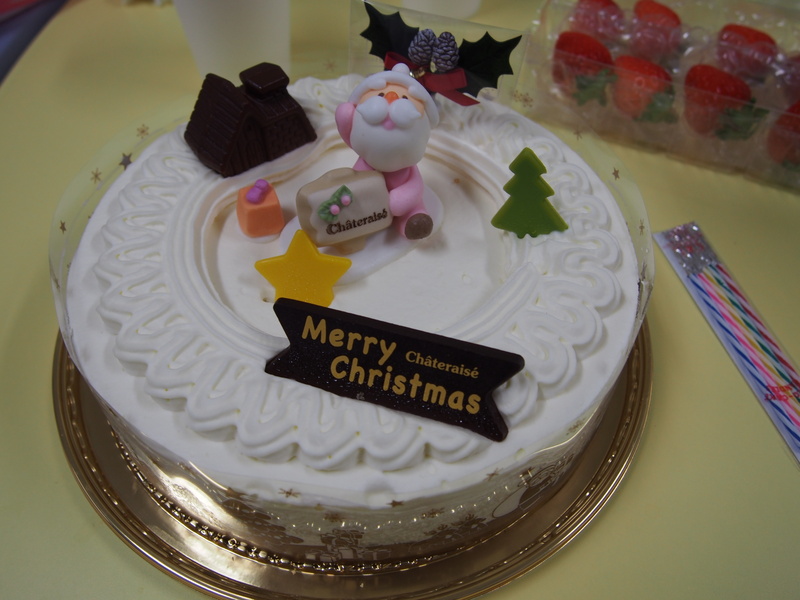 Cakes to cerebrate a holiday season. 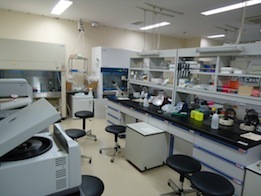 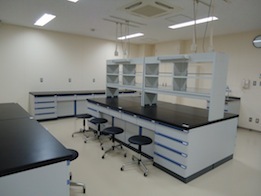 Kawamura Lab in Ritsumeikan University Started! 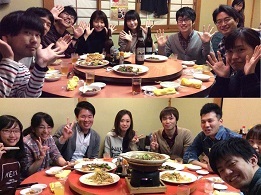 Before (left upper panel) and After (left lower panel).